26 rooms over two floors and a direct sea-view large terrace. All Rooms are available in 3 categories with different dimensions and views: Classic, Sea-View, Superior and Special Design. 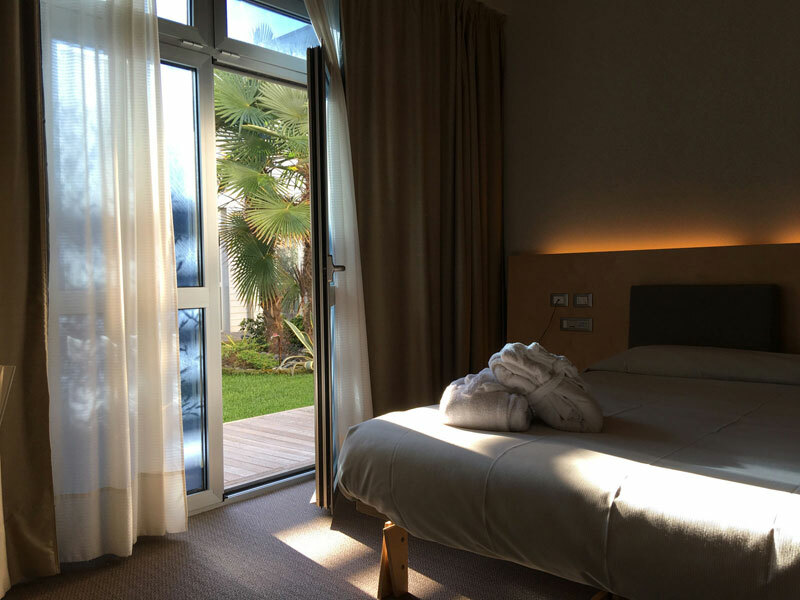 The Classic rooms can welcome up to 3 guests and are located on the Resort's ground level, some overlooking the inner courtyard and others with on the pineta and parking side. All feature modern furniture in natural wood, a private bathroom with a double shower finely decorated with mosaics. The décor in our Special Design bedrooms reproduces the simple and natural style of the Resort yet the bathroom is specifically designed to provide the best comfort for people with disabilities, in linea with industry standards and dimensions. 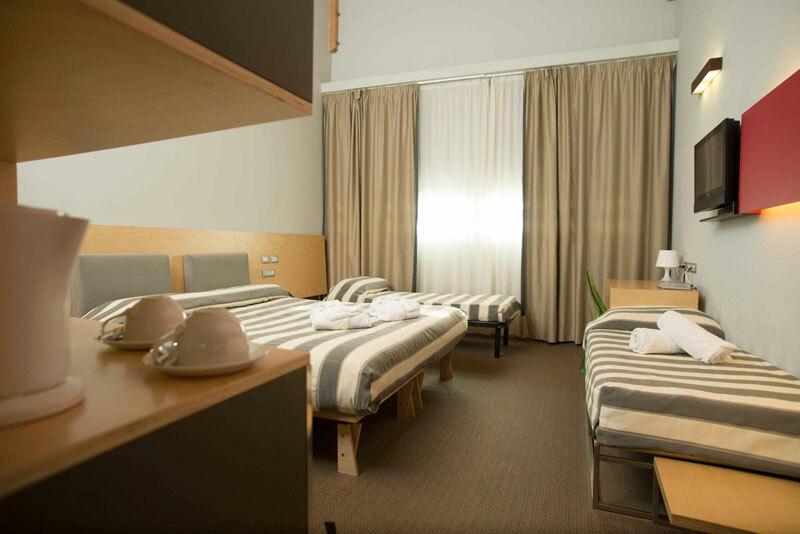 Perfectly suited for Families up to 4 people, the Family Rooms are located on the first floor, overlooking the pine forest/parking. 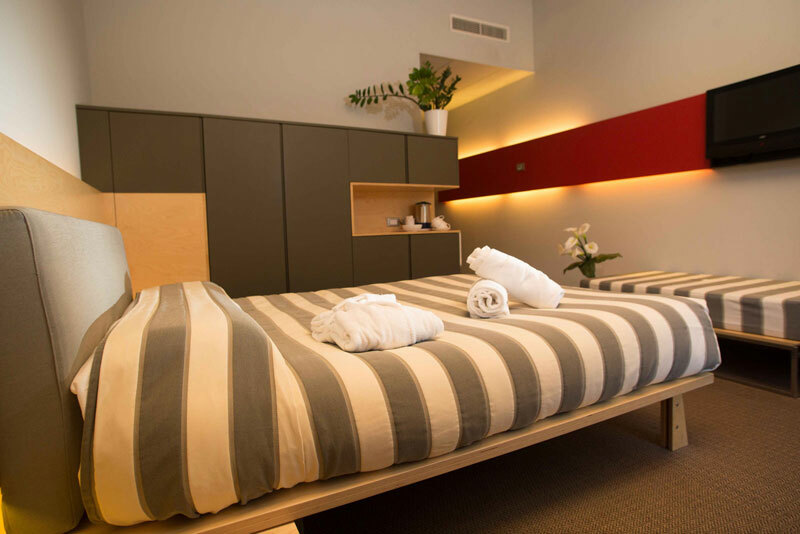 All fitted with modern furniture in natural wood, and a private bathroom with Jacuzzi. 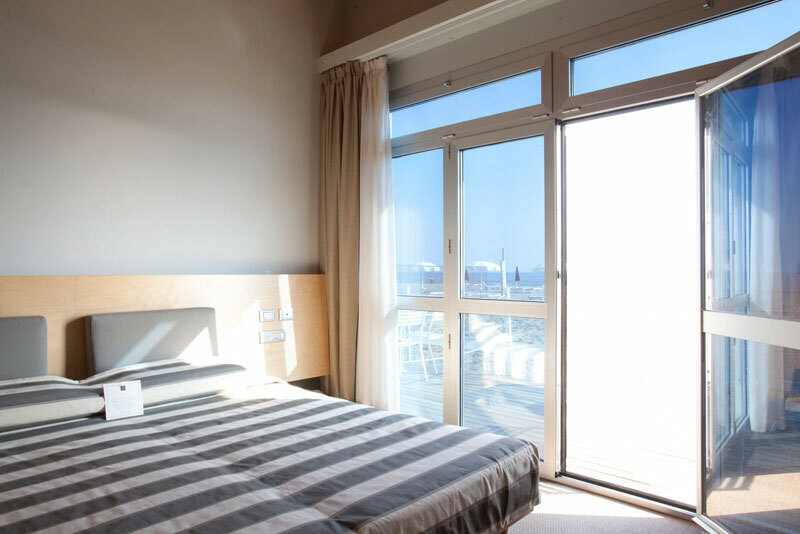 Located directly on the beach front, all Sea Views Bedrooms can accommodate up to 3 people and are located on the ground floor. All featuring a private terrace and patio with table and chairs by the beach. 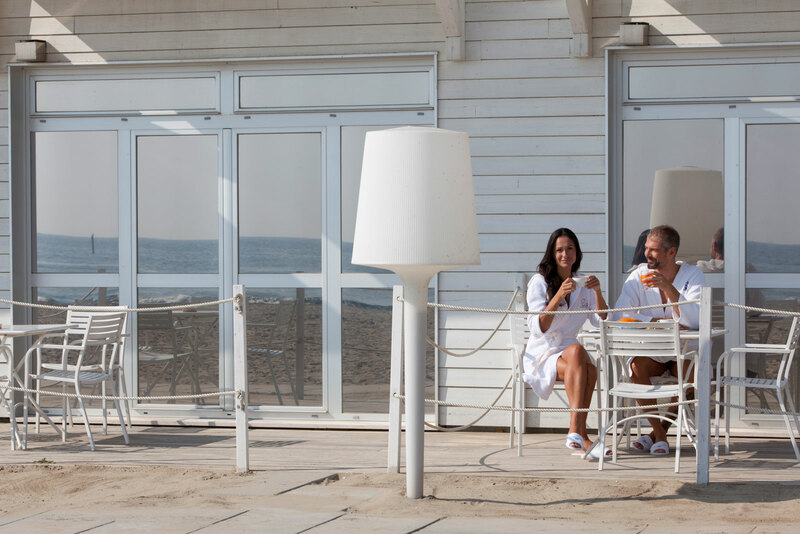 These rooms also benefit of private sun loungers and parasol right on the beachfront.